3D Draw Shadows is an easy-to-use, parametric CAD tool for everyday 3D modeling. Unlike most of other 3D tools, 3D Draw Shadows displays not only objects themselves, but also the shadows they cast. The parametric CAD features of 3D Draw Shadows allows you to compose scenes, populate them with objects, change object dimensions, location, orientation, colors, and reflectivities. After all these transformations, you can save scenes in (.sa1) files. 3D Draw Shadows is an easy-to-use parametric CAD tool for everyday 3D modeling. ...... You can also apply textures to objects' surfaces. After all these transformations, you can save scenes in (.sa1) files. 3D Draw Shadows is a stand-alone tool. 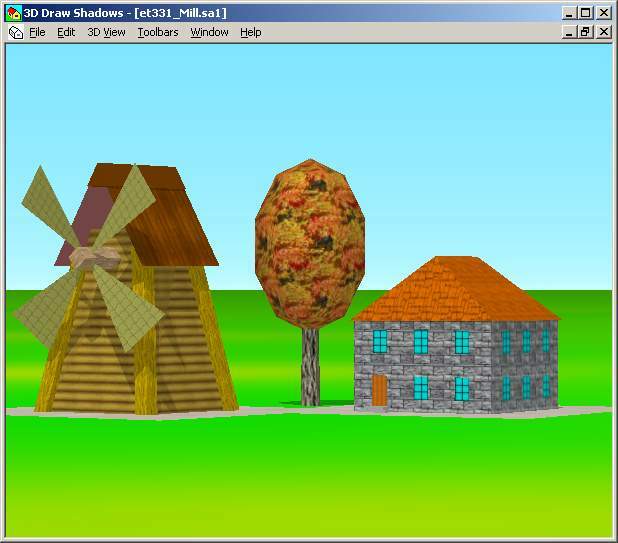 3D Draw Shadows does not depend on any other applications or any third-party packages. Try to restore the initial 3D projection at? 2D projections.? Qweas is providing links to 3D Draw Shadows 2.1.9 as a courtesy, and makes no representations regarding 3D Draw Shadows or any other applications or any information related thereto. Any questions, complaints or claims regarding this application 3D Draw Shadows 2.1.9 must be directed to the appropriate software vendor. You may click the publisher link of 3D Draw Shadows on the top of this page to get more details about the vendor.